It’s estimated that by 2020 there will be 37-million virtual reality bases installed worldwide. Although VR was once an expensive technology without sharp and immersive images, that’s now changing. The right VR headsets and software can help library users explore different nations without needing to venture there. For those who want to immerse themselves in a variety of cultures, this is excellent news. Theoretically, it’s possible to use VR to expose students and trainees to the settings they wish to work in. For example, realistic court environments for aspiring lawyers. It’s no longer the case that gaming is for relaxing and enjoying yourself in your spare time. The libraries of the future are set to use games for essential learning experiences. One example of this is developing spatial awareness. For those who work in fields such as engineering and healthcare, spatial awareness skills are crucial. But, practicing on real subjects or models isn’t always possible. Using a combination of games for learning and applied practical placements, achieving greater spatial awareness is possible. With dedicated space, it’s possible to use advanced tech for self-directed learning and teaching sessions alike. In a nod towards the way people of all ages now know how to navigate an iPad, coding lessons are becoming popular in libraries. This appears to be a continuation of previous trends. For example, it’s not unusual to learn how to use Excel and Word in libraries. Although coding isn’t a computer skill essential yet, it could be in the future. For those who want to build their own websites or enter the ever-growing field of IT, learning how to code is an advantage. 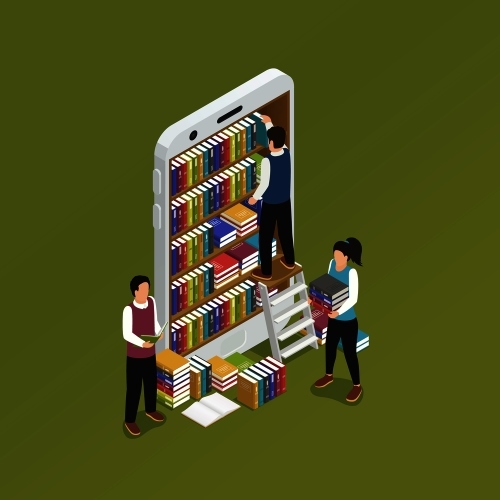 If you want to learn more about future library trends, read the rest of the original article here.